This splendid holiday house awaits you in south of the Drôme Provençale, nestled in lush greenery. This very charming contemporary holiday home offers a beautiful and very private pool with spa. This splendid holiday house awaits you in south of the Drôme Provençale, nestled in lush greenery. This very charming contemporary holiday home offers a beautiful and very private pool with spa, a pool house with sauna and large sunny terraces and a lush park of 6000m² for relaxation, sunbathing and parties. The spacious interior is very comfortable with an integrated contemporary kitchen overlooking a large living room. 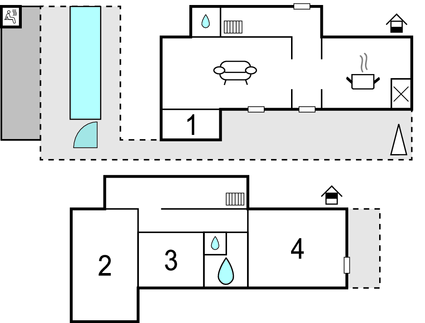 You'll also enjoy four bedrooms, two very large, and two bathrooms. 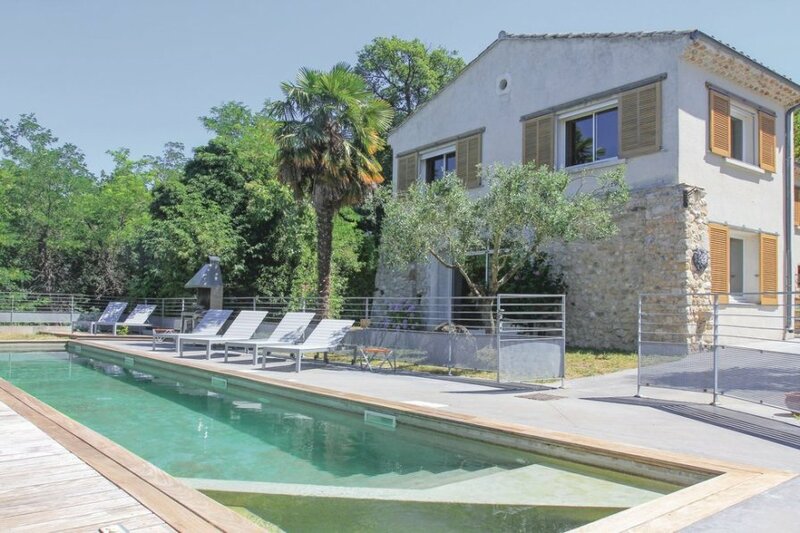 This beautiful vacation rental is ideally located in the area of ​​the Monts du Vaucluse, the Enclave des Papes and the lovely department of Ardèche, renowned for its beautiful gorges, the Pont d'Arc and its splendid caves. Numerous tours and activities are available in the immediate vicinity and you must see the castles of Grignan and Suze la Rousse, the historic villages of Châteauneuf du Rhône and La Garge Adhémar, renowned for its pleasant pedestrian streets and its botanical garden. A beautiful Romane church of the 12th century is also worth a visit. See also, St Montan popular for its night markets and exhibitions and Alba la Romaine, a classified village dominated by its renaissance castle and famous for its festivals, its museum dedicated to its archaeological site and its Gallo-Roman theater. Make sure to discover the lovely flowered town of Montelimar (8km) and do not miss its traditional nougat factories, its local markets and Provençal alleys where you can stroll. A walk along the tourist wine route will satisfy lovers of excellent wines. A must see, south side, the fascinating crocodile farm and its tropical garden that will delight both young and old. This beautiful vacation rental is perfect for a relaxing stay in the Drôme. This solidly constructed villa was originally built in 1967 and refurbished in 2016. The agent has rated it as a three star property so it is a well-kept villa, equipped with standard furniture. It is also good value for money. This villa has a private pool and is located in Malataverne, only 8km from Montélimar. It is set in a good location, 3.5km away from a lake. There's also a restaurant 1.2km away.